I invite all my readers, fellow bloggers and Facebook followers to join me in a Christmas Tablescape Challenge. This is from my 2014 – 12 days of Christmas craft challenge (to view, click here). I am a lover of old, vintage, thrift and auction items, so the “catch” to this challenge is that your tablescape needs to include items that you already have or at least one item you buy that is antique, vintage or thifted. No price limit. The table you decorate doesn’t have to be your kitchen or dining room table, it can be a coffee table, end table, sofa table, bedside table or any other type of table that you have. Leave a picture of your tablescape in the comments on this blog or on my Facebook page. For inspiration here is a link to my pinterest tablescape board. A small gift will be sent to three randomly selected entrants. 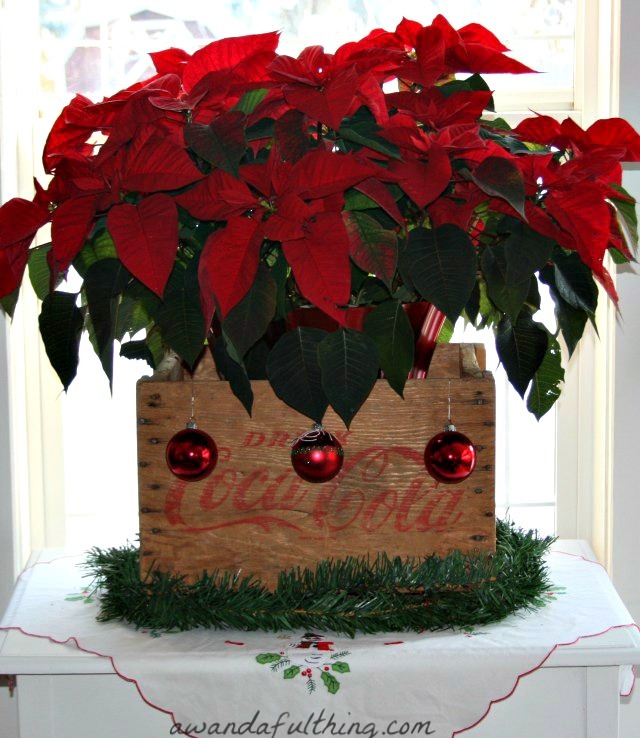 Deadline to send a picture of your Tablescape is December 07, 2015. I am excited to see your pictures. A Christmas Tablescape- it’s A Wandaful Thing!! ****Just received this one from Peabody Amelia from the blog You Can Always Start Now…..
Love the deep blue tablecloth, the vintage china and the touch of greenery – beautiful! 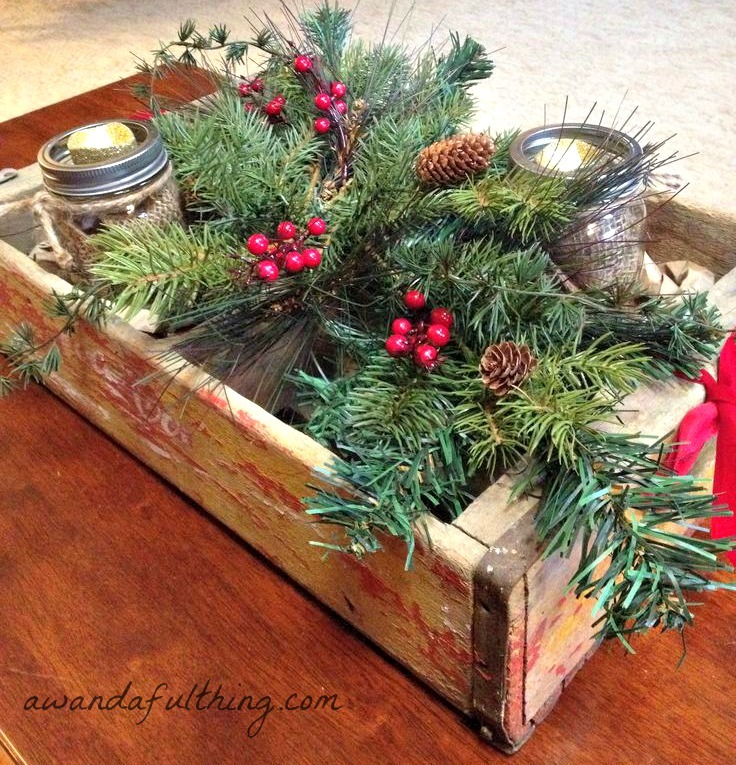 This entry was posted in Decorate and tagged antique, challenge, Christmas, creativity, Decorate, DIY, easy, free, ideas, inexpensive, Pinterest, recycle, repurpose, reuse, simple, tablescape. Bookmark the permalink. Pingback: How I spent November | You Can Always Start Now! Used only what I had on hand.